to all Nahant youth. Membership not required. 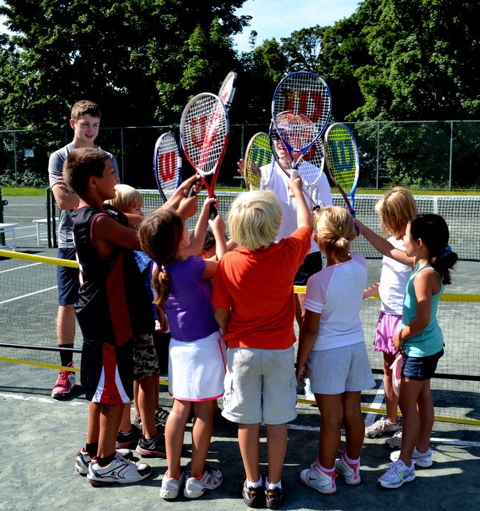 The 2019 Nahant Tennis Program will run from July 1 - 31 geared for kids ages 5-15 of all skill levels. Kids will develop a well-rounded tennis foundation through on-court agility, stroke progression, and drills aimed at promoting learning and fun! 3. Email dvlassov10@gmail.com for more information or to enroll! Individual tennis instruction is available by contacting the Club Pro.